It’s an obvious one, but provide free fruit at work and gently encourage your staff to make healthy food choices. The financial outlay depends on the number of staff you have – and how much they like fruit – however with a team of around eight, it should cost no more than £15 to top up the bowl twice a week if you buy from a reasonably-priced supermarket or a local greengrocer. Adding a fruit bowl was a simple part of a workplace wellbeing policy we developed for Retail IT in 2018. This element went down well with staff with many switching from less healthy snacks to the regularly refreshed bowl of apples, bananas, oranges and pears (all of which are sourced from a local greengrocer, providing a little financial boost to the local economy!). The healthy eating message was reinforced with posters in staff areas offering healthy eating advice. Additionally, a recent survey carried out by British Summer Fruits, which polled 2,000 employees in the UK, has shown more than half think their mood, productivity and stress levels would be enhanced if they were provided with healthy snacks, such as free fruit at work, by their employers. 81% of respondents find sugary snacks are provided for meetings, with 48% being offered biscuits during meetings compared to 8% who have access to fresh fruit in meetings. 50% of respondents eat unhealthily when they are stressed at work, while 55% feel in a better mood at work when they eat healthily. 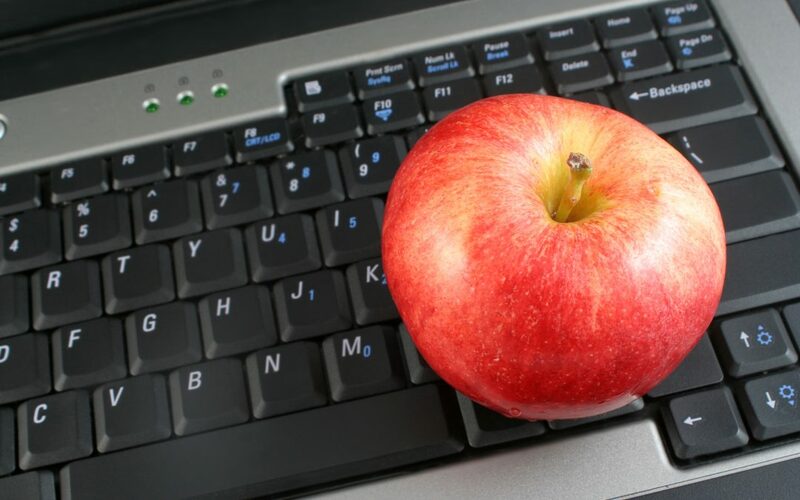 Based on the above, providing free fruit at work is a simple, cost effective way to help boost employee wellbeing and could be a small part of an overall employee wellbeing plan. We suggest considering how else to encourage employees to eat healthily. For example, encourage staff to share healthy recipes, organise a recipe collection, or hold team lunches occasionally with employees bringing a healthy dish to share.